Early on, years ago, I would get excited at the prospect of picking up some snake eggs from a home owner’s flowerbed and hatch them into … who knows! Gophersnakes? Kingsnakes? Not knowing exactly what could come out was half the fun. Or, so I thought. 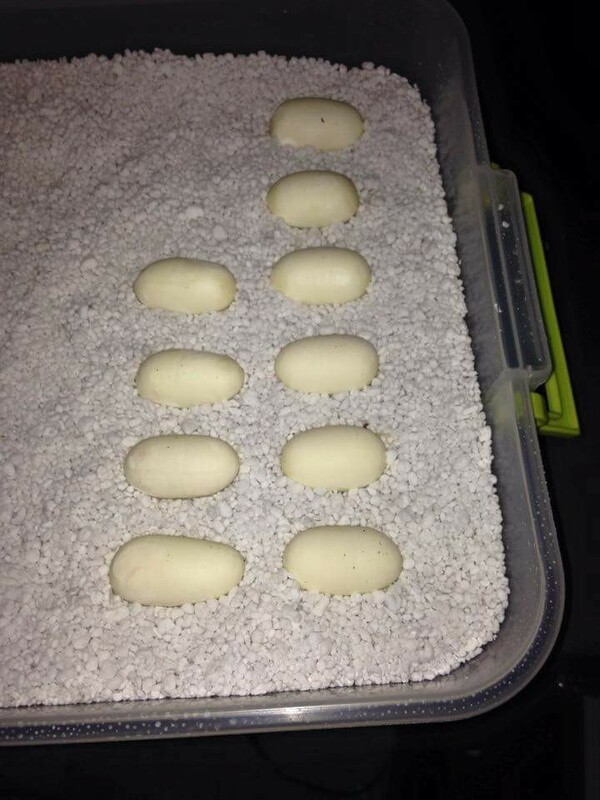 After 7 years in business, only one case of these nests of rattlesnake eggs actually ended up being snake eggs. So what are they? Surely rattlesnake eggs, right? These days, after having going out to examine a few nests of these “snake eggs”, I don’t even need to see them: they’re quail eggs. That’s right, not rattlesnakes, or snakes at all, but cute plume-headed quail in progress. Quail are common all around the city, even in well-developed areas. This week alone, I’ve found quail eggs under garden-hose boxes, in a variety of bushes, and a pool pump area. Here’s a photo texted to me by a person wondering who owns these babies. See the spots and shape like a mini-chicken egg? That’s all bird. What do rattlesnake eggs look like? The answer to this question is why I can so definitively respond with an absolute “they are not rattlesnake eggs”, even before getting a description or photograph. Rattlesnakes don’t lay eggs, they give live birth. Rattlesnakes, like some other snakes you may be familiar with like the Boa constrictor and Gartersnake, are ovoviviparous. This means that they carry and hatch eggs internally, and give live birth to already-squiggling little babies. This is one of the things that makes rattlesnakes so cool, is that they enjoy some of the benefits of having live birth. These include actually meeting their babies, unlike many reptiles, and having a chance to actively protect them for a period of time before they head off to make a living for themselves. Of course the discovery of mysterious eggs activates the same imagination that is also seen when identifying snakes themselves; every snake not immediately known to be a Diamondback is automatically the infamous Mojave green. There’s something interesting here in the way our minds work, that unknown eggs are seldom suspected to belong to pigeons or other birds, but rattlesnakes. The same is true of any unknown sound in walls, especially if that wall is located right behind the bed, and of course any mysterious holes that appear in the yard. 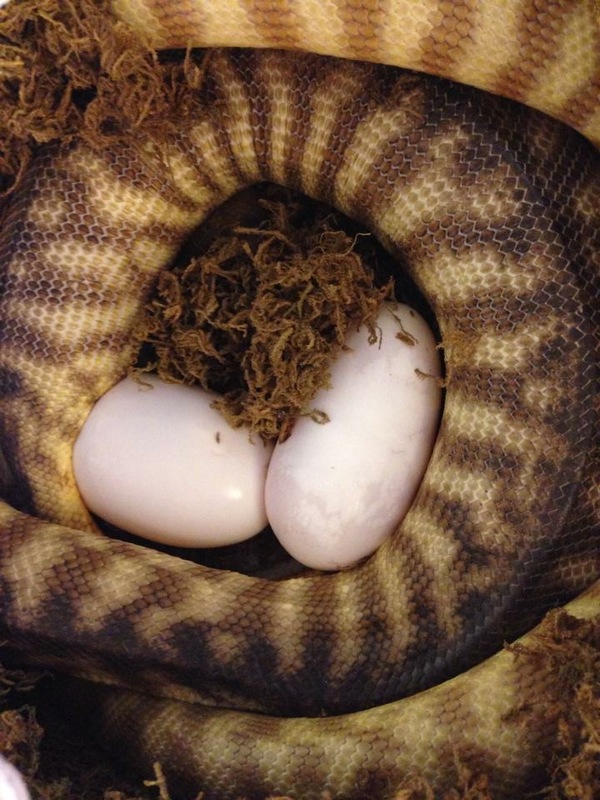 Do all snakes give live birth? What do snake eggs look like? Only some snakes find advantage in giving live birth. Many, like our common gophersnakes and kingsnakes, do lay eggs. Not surprisingly, snake eggs are long. They’re also leathery and soft to the touch, unlike bird eggs. They don’t really leave them laying around on the surface, like birds do, so they aren’t often seen. 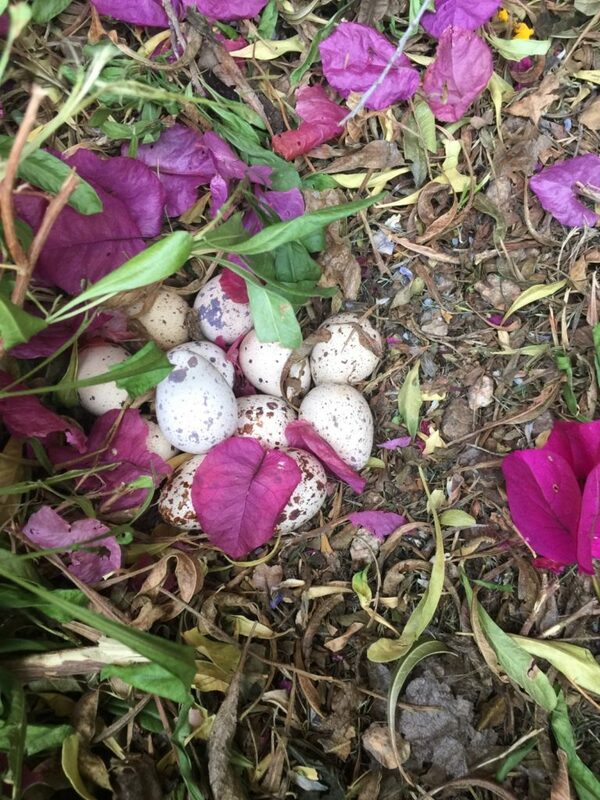 The single instance where these “snake eggs” ended up actually being snake eggs, was a nest of (probably) gophersnake eggs that were turned up while digging in the garden.